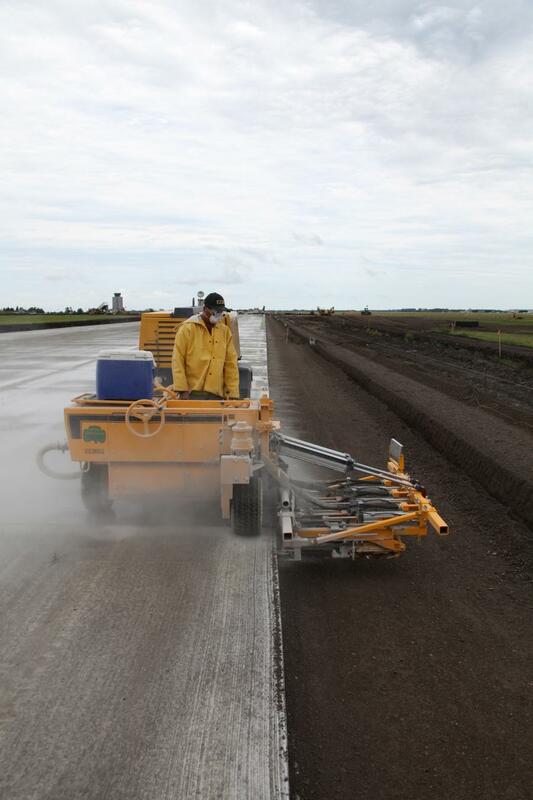 Performing regular maintenance on your concrete drills will help keep downtime to a minimum on road repair projects. When faced with drilling thousands of concrete dowel holes, the last thing a project needs is a delay due to drill issues. Follow these tips to stay on top of budgets and timelines. There are two different types of concrete dowel drills: those that operate with a roller bearing feed system and those that use a nylon pad system. Both systems move the gangs forward and backward, however there is a key difference between the two — friction. When nylon pads slide across the carriage it causes friction that loosens the pads and causes them to wear quickly. This means more maintenance, replacement parts and downtime. A roller bearing feed system, on the other hand, features rollers that move the gangs forward and backward on the carriage without friction, which means minimal maintenance and enhanced uptime. Just like humans need air to breathe, a concrete drill needs air to operate; it won't work without it and will perform poorly without enough of it. When matching an air compressor to a drill, keep in mind many models require 100 cfm per drill motor, so a two-gang unit will need 200 cfm, a three-gang will need 300 cfm, and so forth. Also, if a drill's air hose is too narrow, it can't move enough air to the drill, which results in reduced power and drilling speed. A larger diameter air hose, however, will have no effect on the drill's performance. To check if a compressor is the right size for a multi-gang drill, turn off all but one of the drill motors. If the remaining drill motor speeds up, then there's not enough air volume to keep the drills operating at full capacity. Always refer to your owner's manual for recommended hose sizes and cfm requirements. Using a concrete drill that hasn't been maintained is one of the most common reasons a drill isn't performing at 100 percent. That's why it's important to regularly check the equipment's vitals, oil being No. 1. Oil is critical to concrete dowel drill performance and if it's not the right kind, the engine and components could be in jeopardy. Lubricants, such as pneumatic tool oil and automatic transmission fluid, burn off quickly, which can cause drill motor damage. They also contain synthetics, which can damage hoses and O-rings. Rock drill oil is the only kind of oil that should be used with these types of drills. Check oil as often as once or twice a day, depending on the model, if your drill is in high use and remember to keep the fittings and guide wheels greased. Concrete drills experience a good amount of vibrations during operation, and those vibrations can loosen nuts and bolts over time. 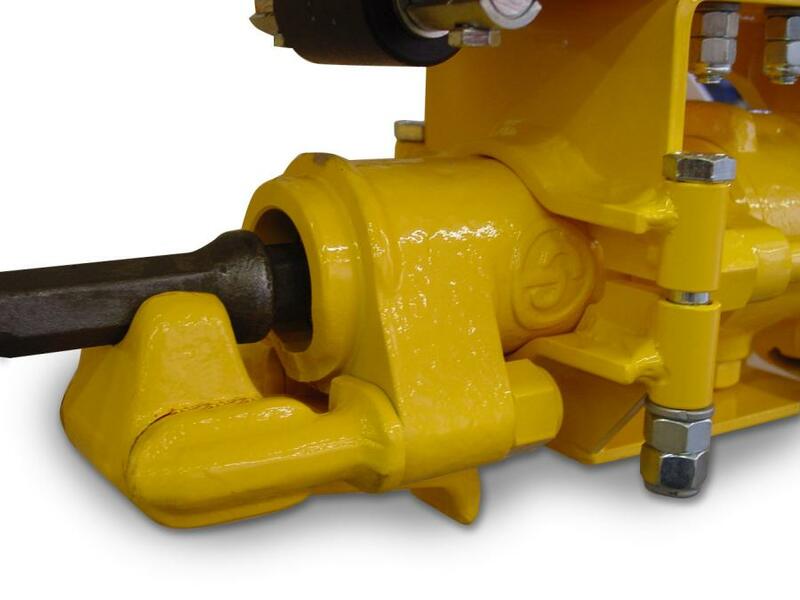 Be sure to check trunnion bolts, which secure the latch that holds the bit in the drill. Also look at the long bolts that hold the drill motor together or thru bolts. Broken trunnion or thru bolts can become loose and break, and that can mean costly replacements. Dry firing also can cause these bolts to break, so be sure to only run the drill when the bit is touching the concrete and drilling into the slab. Also, turn the motor off before retracting the bit from the hole. And, finally, clean your drill daily using a hose or pressure washer. Dust accumulates quickly on parts and if allowed to become wet, can quickly turn into concrete, which has a significant effect on performance. If a drill will be stored for a few days or months, be sure to lubricate its interior parts to prevent rust from forming. Disconnect the hose from the motor and pour a small amount of lubricant (rock drill oil, pneumatic tool oil, even diesel fuel) directly into the motor. Run it at half throttle for a moment to thoroughly coat the interior parts. 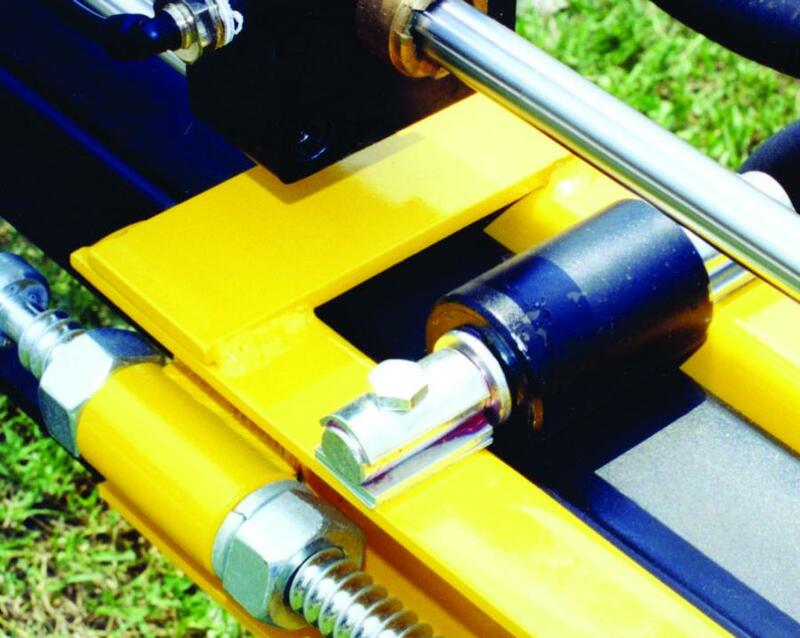 Drain condensation from the machine's filters and cover the drill with a tarp if it will be stored outside. When you're ready to start using the drill, ensure the oil reservoir is full and bolts are tight. If it has wheels, check the tire pressure and blow out the hose that runs between the drill and compressor to ensure it's clean. If dirt or debris has accumulated in the hose, it could be forced into the motor when it starts, affecting the drill's performance. Take care of your concrete drill and it will take care of you, from ample power for optimal day-to-day performance to firing right up — it all equates to greater uptime and profits.